Reviewed by Chris Arnsby: Simon Bates: "Welcome, welcome to Top of the Pops." Richard Skinner: "Have we got a show for you today. Everything from Bauhaus to The Beatles." Simon Bates: "For example, here's Level 42 and their new single called Chinese Way." 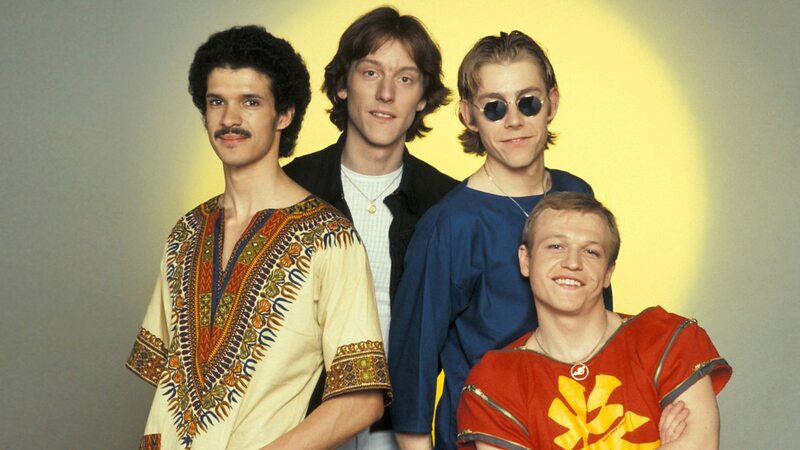 Level 42: The Chinese Way. The stage behind Level 42 is a mass of dancers whirling streamers, holding lanterns, and wearing silk tops and straw hats. Colour slides of Chinese scenes are projected on the screen behind the band. It's not giving me middle-class anxiety hiccups like Aneka did when she sang Japanese Boy surrounded by Legs and Co dressed as Geishas. It's a reflection of the grind of making weekly television that the costume and set designers tend to grab hold of the most obvious visual hook for a song. If Incantation are singing Cacharpaya then break out the wacky South American hats for John Peel and David Jenson to wear. It's probably just as well Men At Work never visited the studio. The stage would have been decorated with gum trees and jars of Vegemite, Mike Read and Andy Peebles would be wearing Sydney Opera House hats, there would be a hilarious visual gag involving turning the picture upside down, and some unfortunate dancer from Zoo would be dressed in a moth-eaten Koala suit. Level 42: "Seriously THAT is what you're wearing?" The Belle Stars: Sign Of The Times. The Belle Stars are touring Japan so they've sent in a video of themselves singing Sign Of The Times in a warehouse with some lasers. Central Line: Nature Boy. Linda Thomson is credited with Graphic Design and she creates a very clever caption at the end of the performance which references the Central Line on the London Underground map. 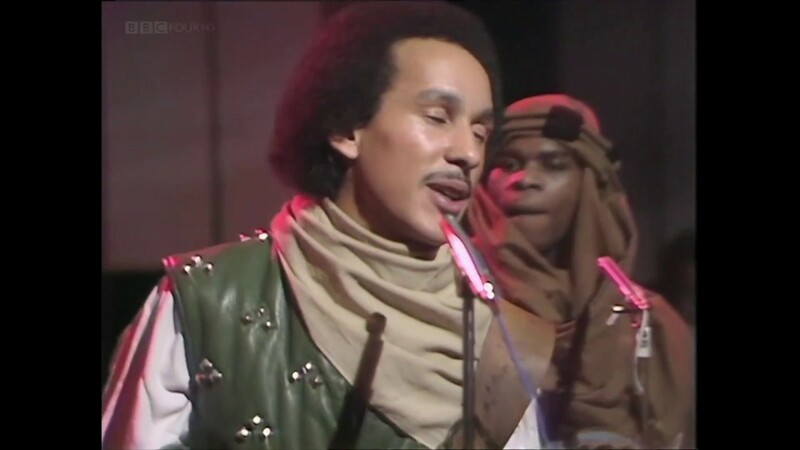 Central Line have pre-empted the costumes of Robin of Sherwood by about a year (they're wearing a selection of studded leather, fur, and earth colours) and, as Simon Bates informs us, the lead singer is carrying a musical instrument called a Serpent. The first couple of minutes of the song are spent wondering if the lead singer will actually play the thing, or just dance around with it. He does finally have a tootle and it produces a noise which to my untrained ear sounds like snake charmer music. Central Line: "Seriously, THAT is what you're wearing?" The Beatles: Please Please Me. "Twenty years ago The Beatles crashed into the charts at number 2," says Richard Skinner. It seems some marketing genius had the bright idea to re-release all The Beatles singles at 20 year intervals. Officalcharts.com shows what happened next as the singles were increasingly snubbed second time around. All You Need Is Love, July 1987, gets to number 47 and that's a good result on the back of the publicity for the 20th anniversary of Sgt. Pepper's Lonely Hearts Club Band. Follow the list down to 1992 and there's an entry for Love Me Do, re-re-released for the 30th anniversary and skyrocketing all the way to the top of the charts at number 53. The marketing genius concerned was presumably given the order of the boot at that point and the 30th anniversary singles go no further. Bauhaus: Lagartija Nick. Presumably Richard Skinner is thinking of a different song or being deeply sarcastic when he uses the words "destined to become a big hit," in his introduction. Number 44 was as good as it got. Well done to Bert Postlethwaite on Lighting. 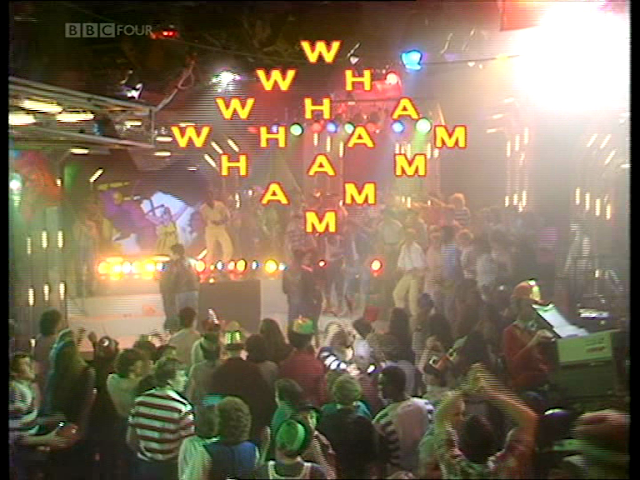 He makes the studio darker than it was for Wham and really dials back the Top of the Pops fun to give the stage the right atmosphere for the song. Lead singer Pete Murphy leaps into the crowd at the end of the song, followed by the guitarist, I suspect it's an unrehearsed impulse because the action is almost completely obscured on camera. 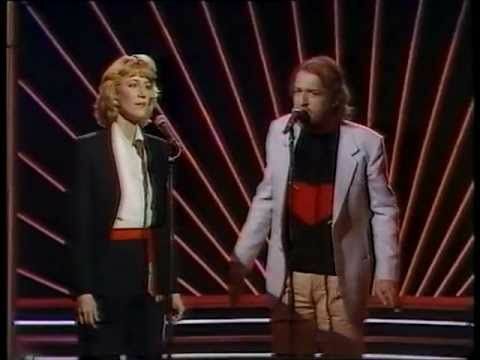 Joe Cocker & Jennifer Warnes: Up Where We Belong. Top of the Pops has trouble staging this song. Joe Cocker & Jennifer Warnes are stuck up (where they belong) on a stage with walkways in the background. Michael Hurll has decided to line the walkway with studio cheerleaders and members of Zoo but because this is a slow romantic song it's not possible to allow the cheerleaders to dance with each other. Slow romantic dancing might lead to canoodling, and canoodling is verboten on BBC1 before 8pm. Instead the cheerleaders and dancers just stand and stare down at the stage and give the impression that they are utterly bored. Joe Cocker and Jennifer Warnes: "Seriously, THAT is what you're wearing?" Dire Straits: Twisting By The Pool. On film, from the pool. Men At Work: Down Under. Also on film. With considerably more drugs references than I noticed when I was 11. Eddy Grant: Electric Avenue. While Simon Bates and Richard Skinner are saying their goodnights an overenthusiastic audience member starts waving at the camera. Her next move it to try and move from the edge of frame to the centre. And then she goes too far. She quickly hops onto the sacred podium reserved for the hosts and waves at the folks back home. The transgression only lasts a moment but it earns her a disapproving look from Richard Skinner, followed by a bonk on the head with his microphone as the camera pulls back over the dancing horde. 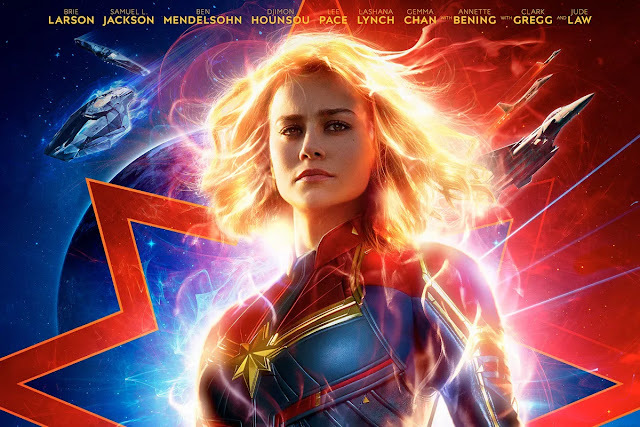 Michael Hurll's credit is changed back to Production. I wish he'd make his mind up. Will we ever all use driverless cars?